Hello again after a long time! I am feeling really lazy lately that I just wanna sleep, wake up and go to bed again. I am a little stressed out but I really do not have a choice but to get up, cook for the kids, feed them, blah blah blah, until it's sundown and it's bedtime again. So, instead of complaining and posting all the rants in IG or FB, where I can right away get a reaction from my friends or relatives in PH, here I am sitting down in front of my computer and updating my blog. Just so you know, our life here in Turkey newly started and is finally sinking in to me. 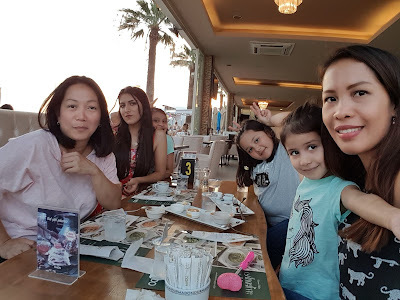 To keep my sanity, I will be blogging again about both the uninteresting and interesting things in my Aegean expat life. 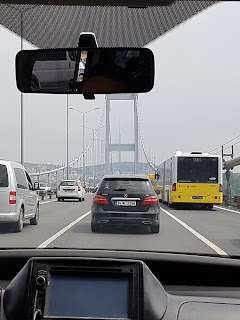 I knew I will be blogging again when I am already here in Turkey, the reason why I kept this domain and waited until today. I will be using this platform to air my daily struggles and whatnots. My family arrived here in May and just as I expected it, life in this part of the world is not easy. We we've been visiting every summer for like 5 years straight, but not a lot of people here can speak English which is very important if you are a foreigner and starting anew. Aside from the hard to find ingredients that my palate is longing for, I also have a problem going around the area since most places are ideally reachable by car or bus. Though hubby already bought me a car and I learned driving here, I still can't go around freely for safety reasons. You know, typical things if you are a foreigner and a woman and alone. You can get catcalled or worst harassed. Happy to share that I met a Filipina here over 2 weeks ago. She is from Davao and is married to a Turkish guy who grew up in this district. Their small family used to live here but moved to Istanbul. They come here only to visit her in-law and for summer vacations. So we met a couple of time and it was like a breathe of fresh air. I also met 2 young Indonesians working in a hotel nearby. They noticed my sis-in-law and I were talking in English that's why they approached us. They were so cute. I knew from their accent and looks that that they were Indonesians. I met Indonesians in Hong Kong before in early 2000s. Anyway, it's hard to find ingredients like I initially mentioned. Not a single Asian store is within the district. 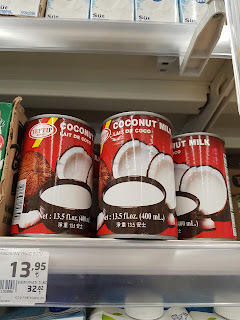 While shopping at Kipa last night, I finally found coconut milk and it got me so giddy. Turkish food is yum but also I want a taste of home so I have been searching for coconut milk for weeks now. Although they have fresh coconut here in Migros, they can't clean it for me. I don't have the means to extract the milk by hand as well. No coconut grater here. So in October, when I'm back to PH for a short visit, I will definitely hoard coco milk powder and many more Asian stuff. Thanks for dropping by. Have a great day! Wear Something Pink this Valentine's Day!